Well not really, more like hungry birds! 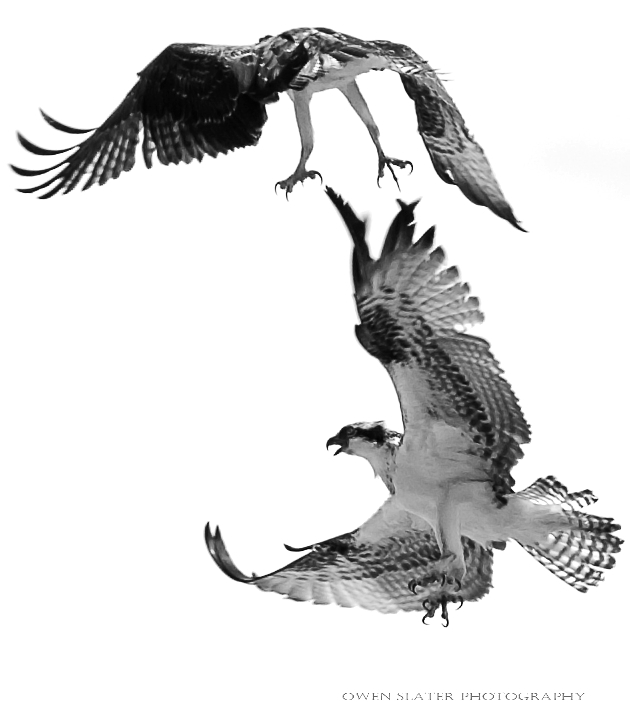 These two osprey are siblings that successfully fledged this year. They took to the skies to practice their maneuvers and to compete with one another for the best waiting spot. It takes a few more weeks after fledgling before they are proficient at hunting on their own so the parents would return with fresh fish to give to them. It was always first come, first serve and once one had a fish there was no way they were going to share it! I have watched this nest periodically over the summer, hoping to catch the fledglings as they take to the air. I lucked out, as I saw each one of them practice their newly discovered flying abilities. This particular bird did a low fly by over the heads of the two others, who ducked to get out of the way as they watched it soar past.